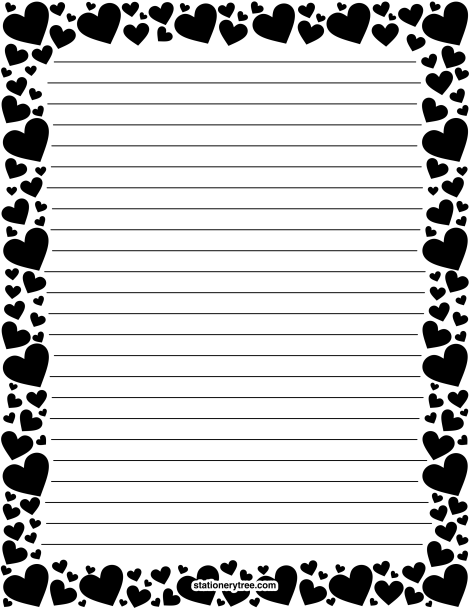 Black hearts in various sizes arranged around the entire page. This template is available in three versions: blank stationery (without lines), lined stationery, and writing paper for kids to use for learning handwriting. The stationery is sized to work with 8.5 x 11 paper (letter size). Follow Muse's board Stationery at StationeryTree.com on Pinterest.